It's that time again. Time to cut down the Christmas lights, knock over the tree, and throw out whatever mistletoe didn't get eaten before it goes bad. It's Christmas again, and you know what that means: it's time to say good-bye to Mainlining Christmas for another year. Granted, the next year starts in a week, and we typically post reviews whenever the hell we feel like it, so it's not like we'll be out of your lives entirely. But we'll be out of holiday-mode, so the 3 to 10 posts a day pace is over and done with for the foreseeable future. I'm relieved to get the holidays behind me, but - as is always the case - it makes me a little sad, as well. Sure, the near-constant barrage of Christmas specials and movies gets a bit much, but it's also tradition. We’ve come to the end of another season of Mainlining Christmas. This is our fifth year, and we’re running out of pithy things to say to close out the holiday. However, even now, even year five, we’re still learning new things. Long-time readers may remember my complicated relationship with Christmas carols. I’ve been sporadically looking for a version of “Do You Hear What I Hear” that matches the ideal version in my head for years. And I’ve always felt especially uneasy about my love for this song. It’s a weird one for me to get hooked on; much of the time I tolerate the semi-religious songs and only really latch on to more secular tunes. But “Do You Hear What I Hear” has always been an exception. Absolutely charming. 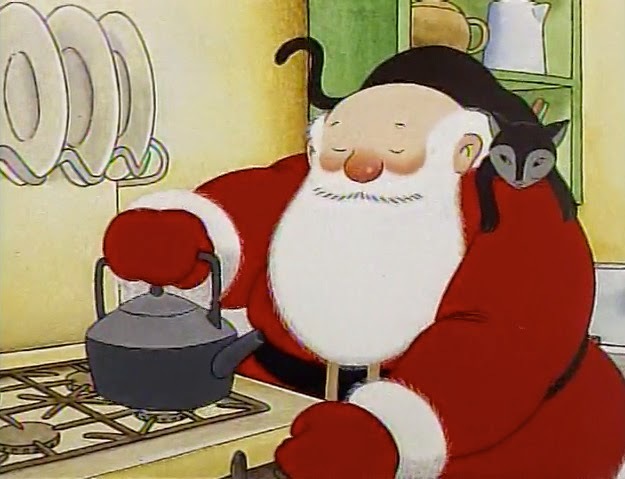 Father Christmas is an animated special based on two more of Raymond Briggs’ children’s books. It features a very stereotypical-looking Santa Claus who acts very un-stereotypically. Father Christmas is exhausted, and decides to take a holiday in the off-season. He first tries France, only to be put off by the food (the resulting bathroom humor, while extremely tame by today’s standards, is not for everyone. Then goes to Scotland, only to be put off by the weather. He finally stays in Vegas for most of the summer months. This is a very grounded Father Christmas. He’s old and crotchety, and prone to using ‘blooming’ as an all purpose word in every sentence. He loves Vegas because he can swim and tan, gamble, drink and watch the showgirls. But eventually he has to fly his homemade camper (pulled by reindeer, naturally) home, retrieve his pets from boarding, and prepare for Christmas. In this world, there are bad horror movies. There are crappy horror movies. Then there are horror movies so unbelievably awful you honestly can't tell whether they were intended to be comedic or not. Since those categories aren't mutually exclusive, it shouldn't come as any surprise that Elves is all three. I first heard about this on Red Letter Media's Christmas Special. I immediately rushed to Netflix to add it to the yuletide queue, only to discover that Netflix has never heard of the movie. It turns out this isn't too surprising, since - as far as I can tell - it has never been released on DVD. Unfortunately, someone had converted an old VHS copy and uploaded it to Youtube. The movie is about a girl named Kirsten, whose grandfather is a Nazi scientist who impregnated his daughter to create a pure woman, so that one day she could be mated with an elf and give birth the master race and/or the Anti-Christ (the movie is slightly unclear on this point). 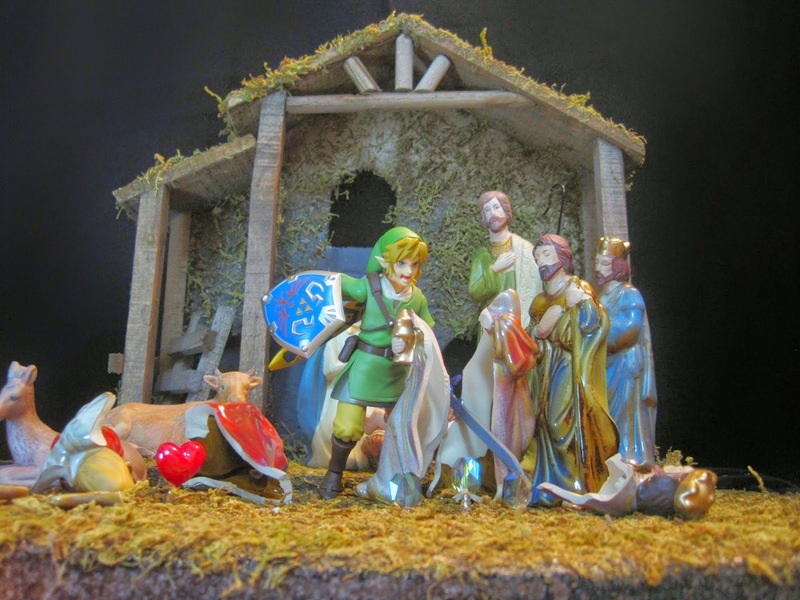 Tonight's Nerdtivity is meant to remind us that, whatever else they represent to people, Nativity figurines are fundamentally ceramic containers. And you never know what you'll find inside. Don't worry, though: as soon as Link leaves the room, I'm sure the guard will replace the figurines. In case anyone's wondering, all the Nerdtivity scenes we're posting were done without digital alteration beyond cropping and/or minor color correction. All objects were physically present at the time the image was taken (and yes, that includes the heart). I have to admit I'm breaking a self-imposed rule on this one. When I started, I planned not to re-use the same figure in the same role. But this is the second time I've had Skeletor stand in as a shepherd. I could have side-stepped this by swapping him out for one of the three kings, but all three of them are kings, while he's just an overlord. I decided technical accuracy was more important than arbitrary rules, so here you go. If you've never seen Go, here's what you need to know: it's a fantastic movie that's better experienced than described. Even though I'm barely going to mention the plot, I'm about to spoil the whole movie. So stop reading, watch the thing, then come back. The genius of Go is its tone. What tone is that? Well... that depends whether it's your first time watching it. If you've never seen it before, Go is a disturbing, twisted, suspense movie broken up by bits of dark comic relief. 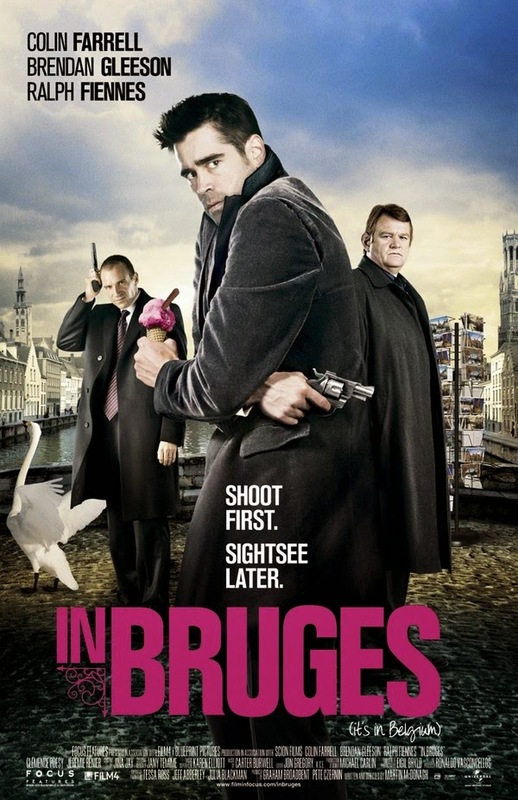 On subsequent viewings, it's a fun and lighthearted comedic romp. It all comes down to point-of-view, which is exceedingly appropriate, since it's about point-of-view. Luis’s legs felt like they were on fire. Worse, his toes felt like nothing at all. The rest of him was ice, like raw meat in the freezer, and his chintzy felt coat and hat were about as effective as plastic wrap. For what little it was worth, he pulled his fake beard tight to his neck and looked out at the water. Despite the pain, he took some pleasure in the scene. In the moonlight across the river. In the hum of cars driving over the bridge just to his right. Even at the cracking the frozen ground made beneath his boots. It wouldn't be long before the water was a sheet of ice covered in snow. Mostly he took pleasure in a job well done. He’d dreamed about it for so long, and now that he’d finally worked up the courage, he felt relief and joy. Even the ache in his legs from wading into the bitterly cold river felt right. Musicians and painters suffered for their art: why should he be different? Nothing says Christmas like violence and bleak depression. This was a fantastic movie. 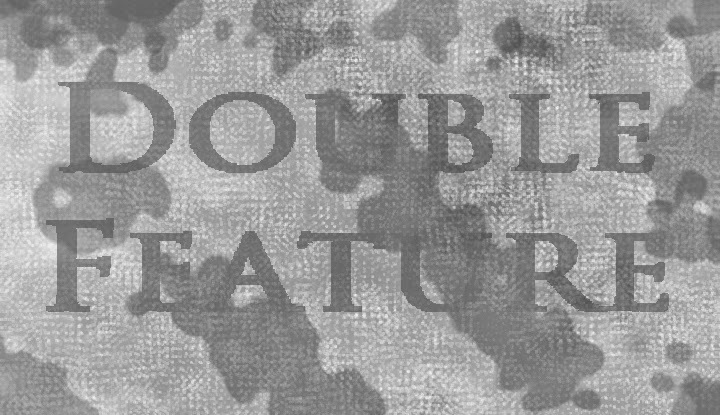 We usually do a bit of a synopsis in our reviews here, but I really enjoyed watching this twisty plot unfold, so I’m not going to give too many more specifics. One of the final twists, I saw coming (and Erin didn’t! Call the papers, that might be a first), but watching it was still incredibly compelling. Suffice to say that this movie contains quiet, atmospheric scenes, emotional breakdowns, public brawling, graphic violence and lots of historic buildings. This Nerdtivity is intended as something of a tribute to the various animated incarnations of the DC Universe. I'd be lying if I said it wasn't something of a Nerdtivity of convenience, but it would have been criminal not to use the Super Best Friends Forever as the magi in at least one of these. 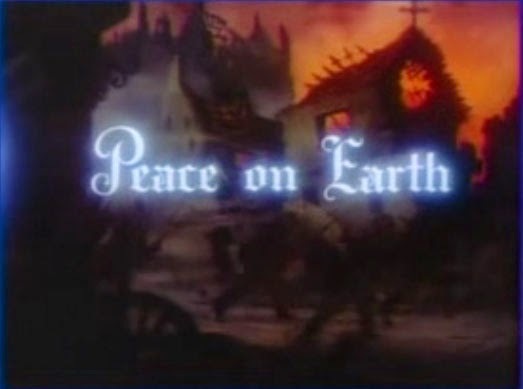 "Peace on Earth" is an animated short from 1939. 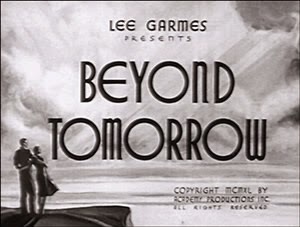 It was made by Hugh Harman, one of the founders of the Warner Bros. animation studios. "Goodwill to Men" is a remake made by William Hanna and Joseph Barbera fourteen years later. The two pieces are extremely similar, so I'll talk about them together. As works of animation, these are beyond topnotch. "Peace on Earth," in particular, is absolutely breathtaking. If this had been made a half-century later, it would still have been cutting edge. The remake is also great. You can drop every association you have with Hanna-Barbera: this is beautiful work. Both versions were clearly labors of love, stories the animators and directors clearly believed needed to be told. This is a Christmas dramedy starring Anna Kendrick. It's a small movie, focused on a handful of characters and their relationships. The dialogue was improvised, which results in very believable interactions. There's less a story than a premise behind the picture. A woman in her twenties who's just broken up with a boyfriend goes to stay with her older brother, his wife, and their infant for the holidays. Obviously, the younger sister's irresponsible nature creates conflict, but they sidestep sitcom shenanigans. Instead, we're shown the fundamental disconnect between someone still fixated on what happened and grown-ups more concerned with what could have happened. Here's a BONUS Nerdtivity for you. It's relatively straightforward, but at least now we know the answer to one of the Universe's greatest mysteries. 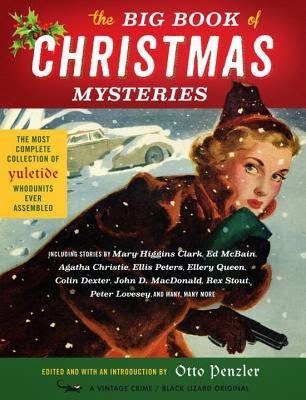 This year, I am taking on The Big Book of Christmas Mysteries, a 674 page tome containing 59 individual stories about the Christmas season. Conveniently, it’s broken up into blog-post sized sections. This is post eight, section ten, the end! 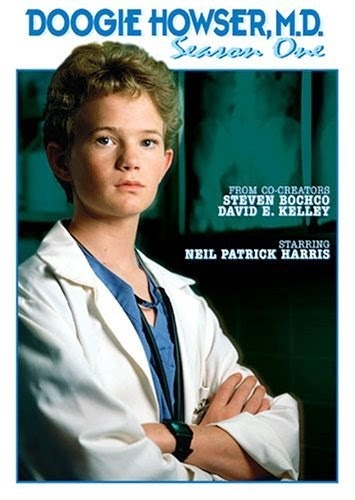 First off, a disclaimer: I have never before in my life seen an episode of Doogie Howser, M.D. I knew of it later, when NPH hit the spotlight, but didn't hear much when it was on. Can anyone tell me why the theme song is MIDI? It’s… I can‘t explain it. Anywho, we’ll take the premise as presented in the opening: kid genius becomes a doctor, deals with being both a practicing physician and a teenager. I don’t know whether that’s the plot of every episode, but ot was the plot of this one. The episode opens with a lot of establishing material: Doogie (I’m sorry, side note. I cringe every time I type this. It’s terrible. Why on Gaea’s green earth would anyone call another human being Doogie when they weren’t actively shoving said person into a locker at the same moment? Okay, we’re back.) talks a lot of medicine and runs about being efficient and reminding the audience that he’s good at his job and his colleagues like him. 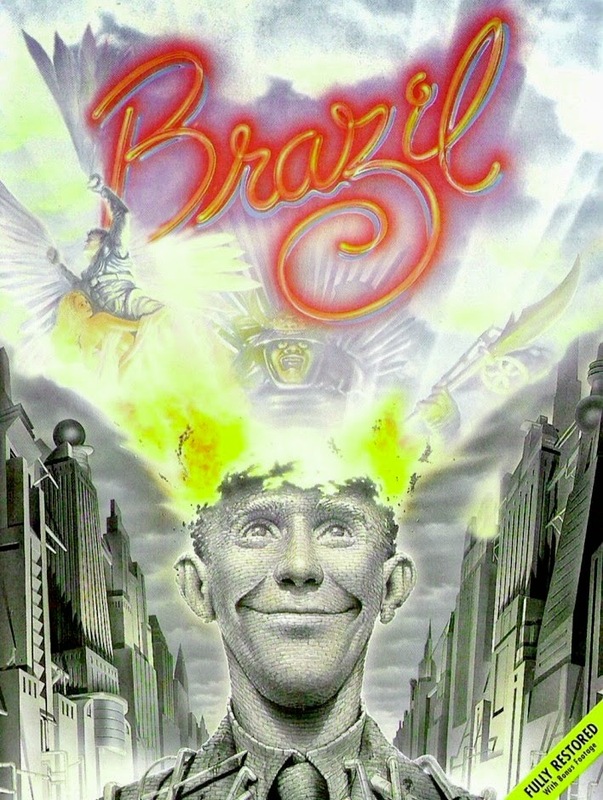 The title of Brazil is drawn from its theme song, despite the fact the movie is not set in Brazil, and the nation of Brazil has absolutely no bearing on the movie, nor is it even mentioned. It should be noted that they considered several alternative titles while the movie was in development, and - miraculously - Brazil seems to have been the best they thought of. You can read a bunch of the others on Wikipedia. If I could be so bold, I might suggest calling this the Metropolis Christmas Special, which is how I'm going to think of it from now on. 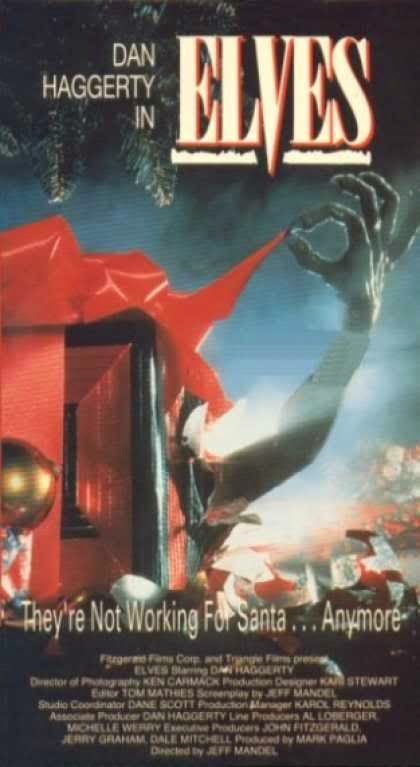 Recently, I found this on a couple of lists of science fiction Christmas movies, which surprised me, since I didn't recall it having taken place at Christmas. Granted, it's been more than a decade since I saw this, and I didn't think much of it at the time. For years, my summation was simply: any ten minutes of Brazil is gorgeous, but there's no reason to watch more than that. 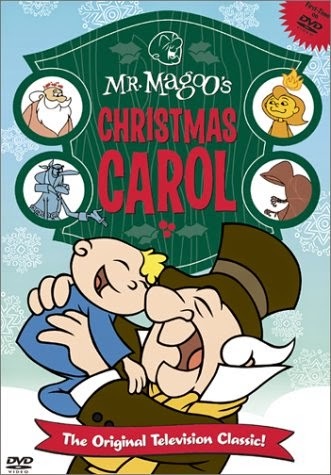 Mr. Magoo's Christmas Carol's claim to fame is that it was the first animated Christmas special created for television. Its success paved the way for Rudolph, Frosty, the Peanuts' special, and all the rest. From a historical perspective, this is extremely important. But from a practical standpoint, it's pretty dull. This thing starts with a brief frame story, which serves no purpose other than establishing why Mr. Magoo is Scrooge. It's a fairly simple set-up revolving around a Broadway production of "A Christmas Carol" starring Mr. Magoo. Why is Mr. Magoo starring in a play? No clue. But there are a few quick gags involving his sight. He crashes his car, goes into the wrong building, goes into a woman's dressing room instead of his own, then causes the play's director to be horribly injured just as the play starts. If you’ve hung out here with us for any appreciable time, you have probably noticed that while we are open to anything with a Christmas flavor, we each have our specialties. Partially because of what we have history and context for, partially just our individual taste. 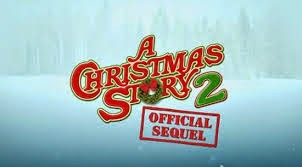 Erin tends to handle the true Christmas classics and the modern mainstream comedies. I take lesser-known classics, the BBC and movie musicals. We occasionally flip for the truly terrible stuff. Erin deals with most horror. I take children’s media, particularly when it involves Henson. 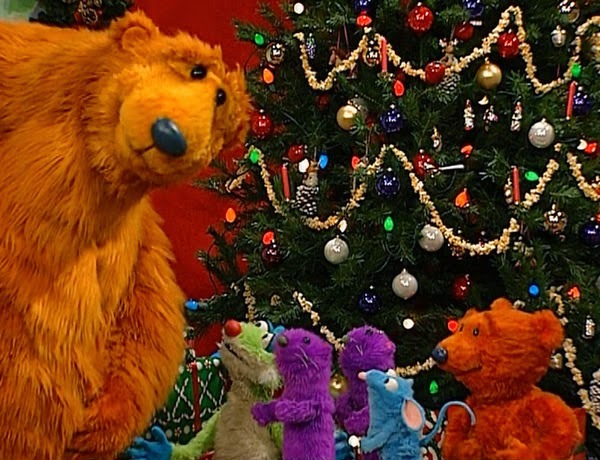 Bear in the Big Blue House is a Henson Company production that aired on the Disney channel from 1997-2006. I may have seen some episodes in 1997 and 98. Yes, I was a teenager, what of it? 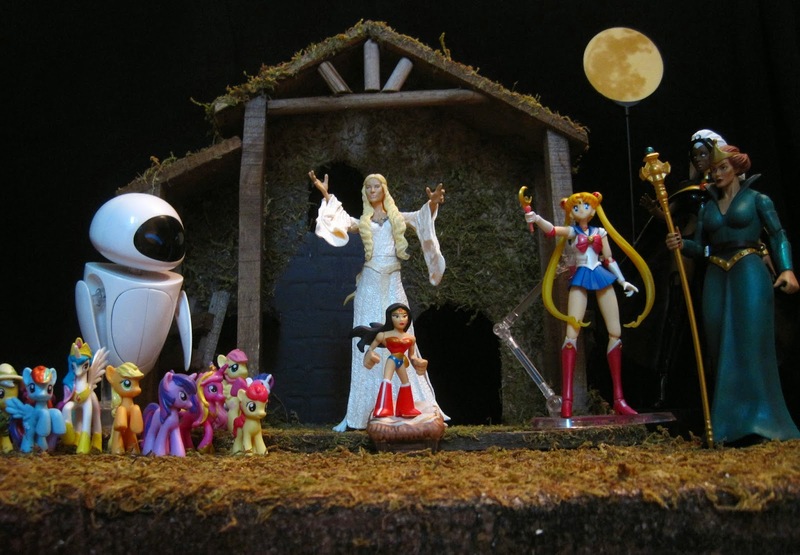 For the last week and a half leading up to Christmas, we're posting a "Nerditivity" scene every night at midnight. I hope this photo speaks for itself. You might think a direct-to-video sequel to A Christmas Story would have no chance of living up to the original, but I thought it was a worthy successor. Granted, I consider the original one of the most overrated pieces of crap ever produced, but I think it says something that WB's home entertainment division was able to meet the same level of quality. Specifically, it says they're two-bit hacks who could barely figure out which way to point the camera, and even then I spent most of movie wishing they'd get that wrong and save me from at least a scene or two of utter agony. Watching this on DVD is enough to make one nostalgic for the days of televised movies, where you at least get the soothing respite of a commercial break to dull the pain. Let’s start with something positive: this movie is better than any of the Home Alone films. That is to say, it isn’t terrible, but don’t look so surprised-I’m not saying it was good either. The people who worked on this were stuck adapting Richie Rich, but I guess the best way to handle it is to do what they did and just embrace the insanity. The sets are insane, the characters way over-the-top, and the plot ridiculous. 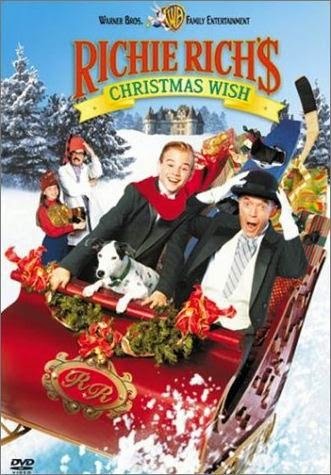 The movie opens with Richie’s first Christmas, just to establish that his parents planted a special Christmas tree for him in their front yard. Fast forward to the ‘present’, and Richie is excited to go play with his friends on Christmas Eve. He races down a bunch of endless hallways, taking and leaving bits of outerwear with an endless row of servants seemingly without any rhyme or reason, and then he and his friends race about in some fancy snowmobiles, only to have their fun cut short by Richie’s social obligations. Still on the lookout for last minute gifts? This little lady is just three bucks at Target this year. Monster High dolls are VERY popular, and thus they're expanding rapidly from the original doll line into every conceivable bit of merchandise. These little Christmas-themed figurines aren't fantastic quality, but again, they're only three bucks. The back of the package shows all the choices. 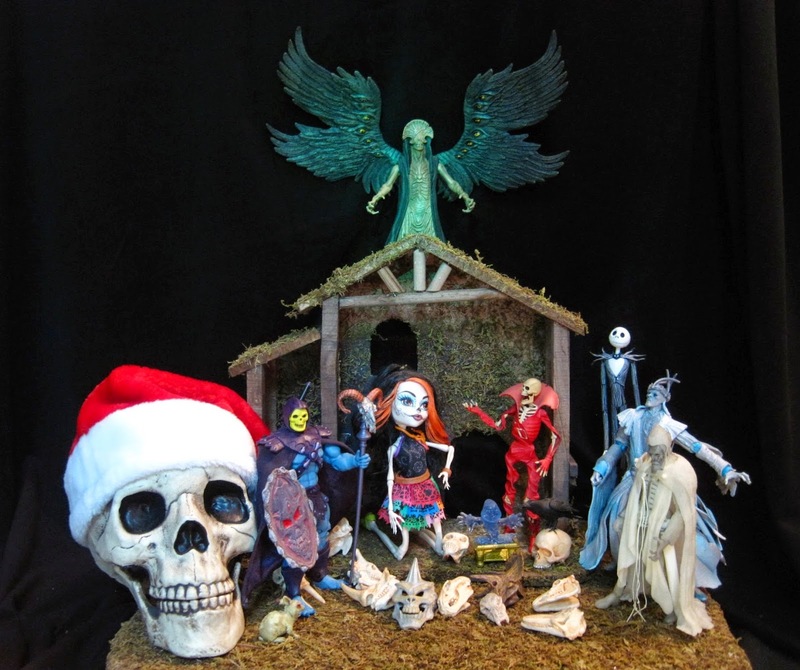 Each one is an established Monster High character, with a few appropriate holiday-themed additions. 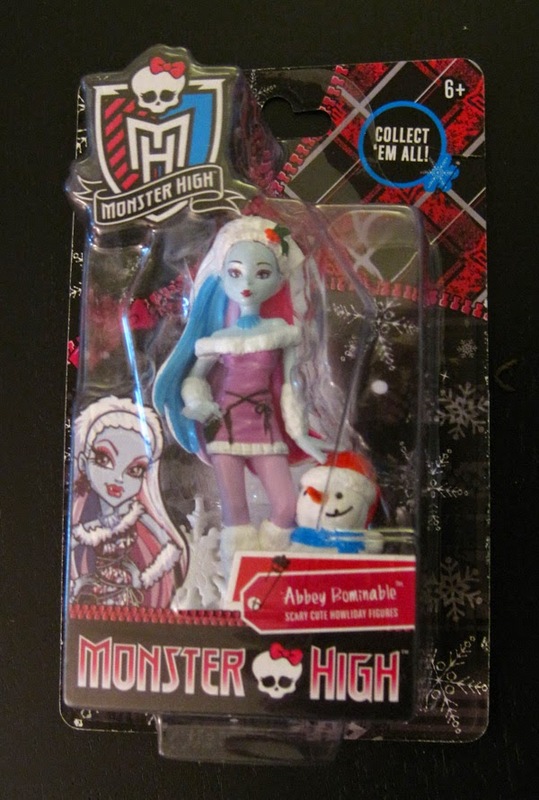 I chose Abbey because she already had a bit of a winter theme, being an abominable snowwoman and all. It's just a short step to give her a little holly and her friend there a Santa hat to make her a Christmas character. She stands about 3 inches tall, and is permanently attached to her base, which features the Monster High logo. The paint work is far from perfect, but I've seen much worse on things this size.